What’s going on with the new Five Nights at Freddy’s game? Five Nights at Freddy's creator Scott Cawthon says he has pulled back from plans to release a sixth game in the popular horror series. But his message has promoted speculation that this is yet another of his well-known publicity stunts. "For the last month or so I’ve been dropping hints about a new game; and it’s true that I’d been working on one (call it FNaF 6 if you’d like.) But after forcing myself to keep working on it day after day, I realized something: I just don’t want to work on this. With each game's release, I think the expectations get higher and higher for the next, and rightfully so. Each game SHOULD be better than the last! But that pressure starts to mount, and I fear that I've been neglecting other things in my life for the sake of trying to keep up with those mounting expectations. "So, after giving this a lot of thought; I’ve decided that I’m going to stop working on it. I’m not going to reveal anything else about what the game was, and I’ve asked other people involved to never divulge anything either. It’s just not going to be talked about." Cawthon — a prolific creator of games and other projects — added that he plans to work on "something fun" that will appeal to his fans. 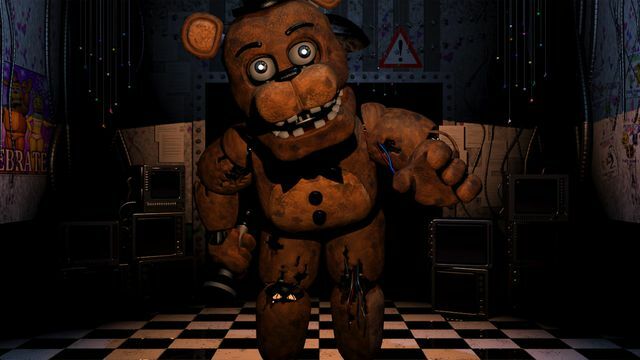 He is also involved in a Five Nights at Freddy's movie, is planning on writing another book about his pizza restaurant animatronic horror world, and is working on a VR release.